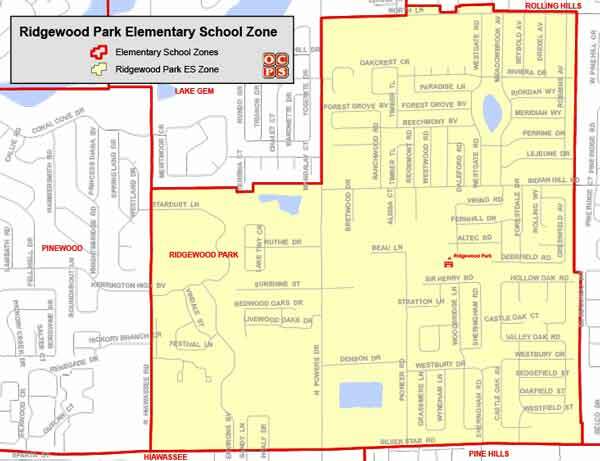 Searching for a home within the Ridgewood Park Elementary School Zone? Then you are in the right place! We work hard to make your next home search easy and efficient, so that when you are ready to buy or sell, we are ready to help! Ridgewood Park Elementary School History and Information: Ridgewood Park Elementary is a public school that serves more than 800 successful students. After School Programs: The 21st Century After School Program (ASP) offers students to enhance and reinforce academic lessons of the regular school day, while also allowing them to learn new skills and discover new opportunities after the regular school day has ended. Tutorial services and academic enrichment activities are designed to help students meet local and state academic standards in subjects such as reading and math. For more information please contact 407-296-6510 ext. 2230.